Bottom Line: An intriguing pinot grigio with earthy appeal and unique style; pair with care. As Pinot Grigio has become such a sales phenomenon, producers in many regions if Italy have begun to produce this wine. The most famous examples are from cool regions in the north, such as Alto Adige and Friuli. 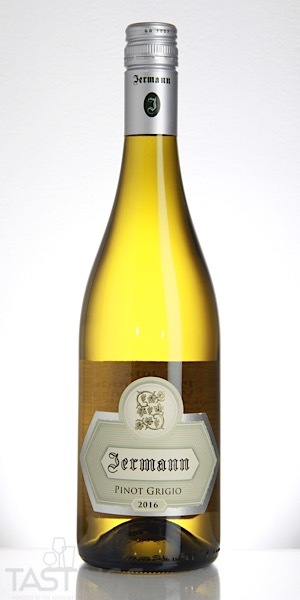 Examples from here have very good acidity and more pronounced aromatics of ripe apple, pear and yellow flowers. 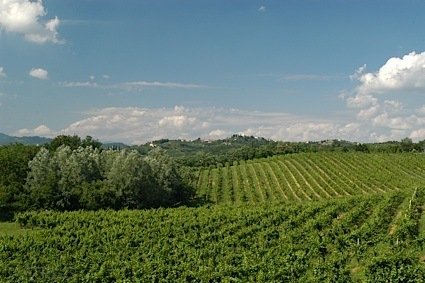 Examples from other slightly warmer regions such as Tuscany and Umbria are pleasant wines, yet display only modest perfumes and are often rather light and one-dimensional. It is definitely in one's favor to seek out Pinot Grigio from the cooler regions from Italy's north. Enjoy these wines from two to three years of age' do not age them any longer, except in rare instances. These are best paired with lighter seafood, risotto and salads. Chloe 2017 Pinot Grigio, Valdadige D.O.C. Cavaliere d'Oro 2017 Pinot Grigio, Valdadige D.O.C. Jermann 2016 Pinot Grigio, Venezia Giulia IGT rating was calculated by tastings.com to be 88 points out of 100 on 10/3/2018. Please note that MSRP may have changed since the date of our review.